Regardless of your industry, your employees are your best assets. Without them, every project you have would stall. But to make sure that they are in their best condition whenever they’re at work, you have to let them team up with each other and function as one cohesive unit. Each person in your team has their own forte, so you must use that to your advantage. Find their individual strengths and leverage these to help your business grow. Without proper communication, any business can fall apart. It’s important that the CEO knows how to talk to everyone in the enterprise to familiarise each person with other employees, fortify team cohesion, and ultimately, achieve company goals and expectations. This also applies to your office layout. Your workplace must have a natural flow, so that managers can easily monitor and supervise rank-and-file employees as they go with their daily tasks. Moreover, a good office design makes open discussions possible, something that the classic cubicle hinders. Most importantly, your workforce wouldn’t feel collaborative if their environment isn’t conducive to such an atmosphere. The office design should speak strongly of your goal to make every employee join forces with other people to do what they do better. 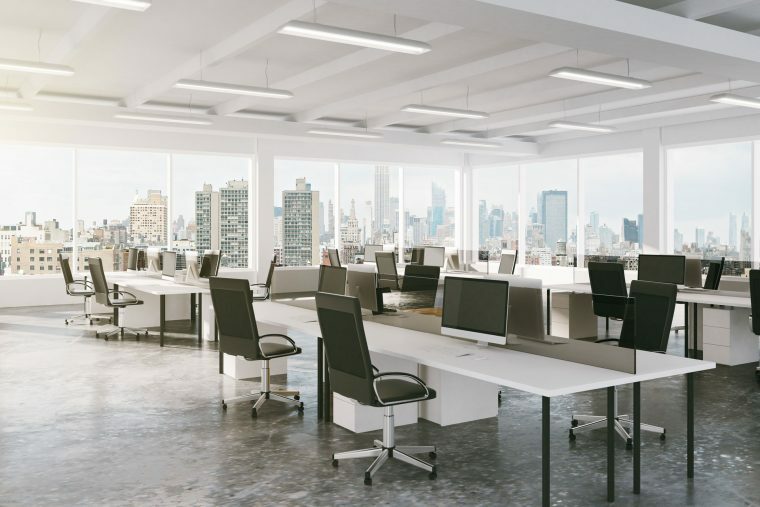 This means you should have a space where your personnel can brainstorm ideas, as well as an area where they can feel at ease and work at their optimal condition. Tear down those half-walls and cubicles if need be, as collaboration may be the only thing you need to fast-track your business’s success. When you want to revamp your office layout for better collaboration, let The Caretakers help you. We understand what type of design your office needs, and you can count on us to do a good job on refitting and refurbishing your workspace. Talk to us and we’ll help you figure out the perfect office layout for your enterprise.